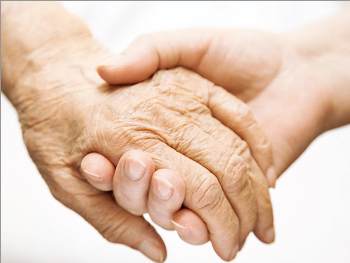 The advancement of palliative and hospice care. The Order's principle mission include: caring for the aged, and the sick through the advancement of palliative and hospice care, and the training and education of caregivers, the alleviation of suffering by caring for persons with leprosy, the advancement of palliative and hospice care support of Ecumenism to foster Christian unity at pastoral, cultural, and social levels, the advancement of palliative and hospice care , the promotion and practice of the time tested ideals of chivalry, the advancement of palliative and hospice care . The Order of Saint Lazarus, Grand Priory in Canada, is the Canadian "branch" of the international order of The Military and Hospitaller Order of Saint Lazarus of Jerusalem. The Acadia Commandery is a "branch" of the Grand Priory in Canada. Established in 1963 as a not-for-profit, without shares corporation under Parts I and II of the Companies Act having as its initial incorporators: Hon. John Keiller Mackay, Pierre Sevegny, Frank Flavelle McEachren and James Ian Douglas, later registered as an charitable corporation on January 1979 (Registration No. 119245223RR0001), the Order of St. Lazarus, Grand Priory in Canada is a leader in providing and supporting palliative and hospice care, promoting Christian unity, and the eradication of leprosy worldwide. the promotion and practice of the time tested ideals of chivalry. Being a voluntary organization, the Commandery's and the Order's charitable works and projects are carried out pro bono by our membership as subject matter specialists within their given professions as advisors, facilitators and catalysts are furthered by effectively utilizing their related networks. The Canada Gazette. Volume 97, Number 16, pp 1192, 20 April 1963. (sourced from Library and Archives Canada, www.collectionscanada.gc.ca). Last accessed: July 23, 2015. Lieutenant Colonel John Keiller MacKay, PC, OC DSO, KStJ, VD, QC (July 11, 1888 – June 12, 1970), served as the 19th Lieutenant Governor of Ontario from 1957 to 1963. source: Wikipedia, John Keiller MacKay. Last accessed: July 23, 2015.